This update is more of a diary than blog, but I think it gets across the work going on behind the scenes. The End of Season Awards night was one of the better attended than in recent season. Although we still managed to give out only two of the six awards on the night. Ryan Broadhurst collected his top scorer medal and Dean Harris the Manager�s Player award for the Reserve Team. The first Sunday with two friendlies hosted on pitches end-to-end, allowing us to share subs (kind of). Sadly the usual pre-season player shortage hit us but we were expecting a pool of five substitutes, however two illness dropouts meant we were down to three and had it not been for John Waller, Joe Harris, Christian King and Ryan Broadhurst we would never have got two sides out in the first place. On a personal note I assisted both of the goals in the second half, the first, a curling ball from the back for Joe Harris to run onto and the second a cross from the right for Christian King to head in. 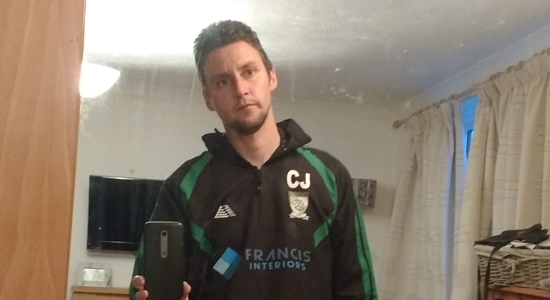 Jimmy Macfarlane contacted me about a mid-week friendly with Wickham Market (Saturday) Reserves for a mid-week game on Wednesday 23rd. I hope we can get a squad together, I will worry about that later! I arranged a short-notice friendly with Kesgrave Kestrels for the following Sunday as we had nothing scheduled originally but there was enough interested Reserve players to consider it. I placed an order for new equipment, including two personalised shirts, new training tops, match balls, manager�s shirts and corner flags. Daryl and I are going to be skint once it all turns up! Deadline for the game on Sunday, there were 19 interested players, Daryl initially decides to go with a squad of 15 but this was later upped to 16. I always feel sorry for players when we have to leave them out but this will always happen from time to time. The club confirmed the interest of a new player. Charlie Francis pulled out of tomorrow's game, but Dean Harris is able to take his place. Confirmed the venue of the game for all those who cannot read the website. It was at Eastward Ho if anyone was interested! The morning of a high scoring friendly, Playford going down 6-3 to Kesgrave Kestrels, a good start by all accounts and the second half tailed off. After confirming this Sunday�s games I have been told that Rushmere & Diamonds Reserves have a league fixture and cannot fulfil the friendly we arranged. I hastily and not without a bit of stress organise alternative opponents. Trinity come to our rescue. I played the whole hour of the Monday Night game against Steaua Needarest, a game that we should have been out of sight by half time. Daryl gave us the lead but a sloppy opening few minutes of the second half saw us behind. We salvaged a point but really should have won. Still I am impressed with the football on show at the Monday Night games and am looking forward to playing Sunday game with these players. The ability and movement made my job easy, I think I was able to complete almost every pass I tried because there was always a player available to me either into midfield, down the line or backwards. Whichever way I needed to move the ball someone had got themselves free. All the new kit arrives, the training tops look really smart.